The queen of thriller is back. Her novel that rose in Italian and American charts is now for the first time on sale in newspaper kiosks. Katherine Sinclair is a woman who likes to tackle challenges. Her talent leads her to become the general manager of 9Sense Publishing, one of the most mighty publishing houses worldwide. She is famous for taking control of everything, but one day her life changes forever and the bottom fell out of her world. What happened to her? When she’s entering the boss office, she finds his body dead: Bruce Aron committed suicide and now everybody will know about the archaeological intrigue of the company. But this is only the beginning of everything. Before to pull the trigger, Bruce left a message to Katherine with a secret code and this clue catapults her in a mysterious world, full of enigmatic ancient knowing, secret truths and esoteric ceremonies of one of the most fascinating population of the past, the Etruscans. 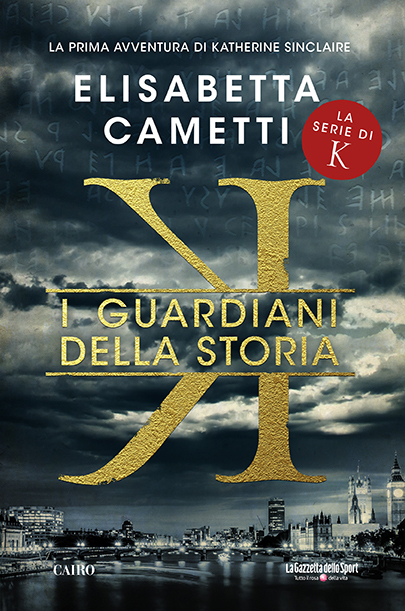 In a turbulent journey from London to the bowels of the Bisentina island, Katherine will have to fight against an implacable fate and she will be the main character of a thousand-year old story.